The peaceful winding roads through the County of Bath are ideal for exploring by car or motorcycle. 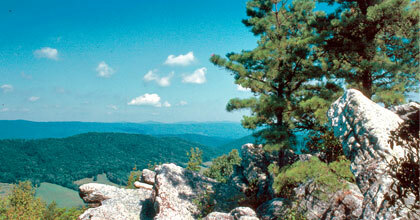 The untouched mountain landscape remains almost exactly as it was when the founding fathers strolled through. Bring your camera and capture sunrises, sunsets and every magical moment in between. 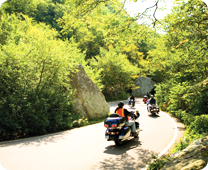 We suggest these scenic routes which are ideal for motorcycle or driving tours. Please do not rely on your GPS or Smartphone. Cell service in the area can be spotty and the GPS is unreliable. 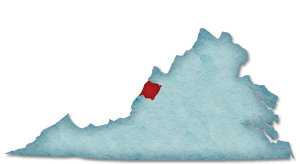 Ask your host or check with the Office of Tourism (540-839-7202) or the Visitor Center (540-839-5409) to download and print the Google Maps that matches your destination. And then, let your journey begin! Starting from your location within the County of Bath, journey north on 220 to Monterey in Highland County, enjoying peaceful mountain views along the way. You can enjoy breakfast or lunch in Highland, as well as taking time to buy a few souvenirs in the shops along 250. Then, drive east onto Route 250 which will take you through McDowell, site of a major Civil War Battle. Drive back on Route 678 W through the Williamsville Gorge, one of the most dramatic scenic drives in the County. Route 678 turns into Route 629. Follow route 629 past the Diamond Triple C Ranch and Echo Valley Fiber shop. Stop and meet the “girls” and visit the beautiful shop which features alpaca wool socks, sweaters, rocks and a fabulous array of yarns and knitting supplies. Driving East on Route 39, turn left onto Route 629. Follow route 629 (approximately 1 mile) until you see the sign for the Diamond Triple C Ranch and Echo Valley Fiber shop (on your left). Stop and meet the “girls” and visit the beautiful shop which features alpaca wool socks, sweaters, rocks and a fabulous array of yarns and knitting supplies. Exit right out of the Ranch back onto Route 629 and return back to Route 39. Turn left onto Route 39 and continue heading East on Route 39. Travel along route 39. The Cowpasture River will be on your right. Windy Cove Church (the first church built in the County of Bath) will be on your left. At the stop sign, turn right onto Route 42. You will travel past the historical marker for Ft. Dickinson. As you travel along Route 42, stop and visit Tender Heart Quilts. More than a quilt shop, this charming shop located within a log cabin features primitive décor, beautiful handmade quilts and a variety of quilt and knitting items for sale. Remain on 42 until you reach the turnoff for Route 64. Turn right onto 64 for just one exit. Take exit 27 off of Interstate 64 and head south (left). Follow the road until you will find yourself in the charming town of Clifton Forge, where dining, art galleries and the C&O Heritage Center await. 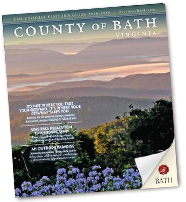 Depending upon the time remaining, you can either return to Bath County via Douthat State Park (Choice Two) or continue on to Paint Bank (Choice Three). Drive back onto Route 629 heading north. Continue on this same road and you will enter into Douthat State Park. Follow the road stopping along the way at spots that peak your interest. This approximately 13 mile drive through the Douthat State Park will take you back to Route 39. 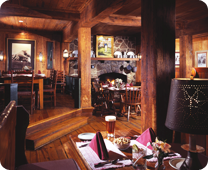 Return back on 39 to your lodging destination or the restaurant of your choice for dinner. Continue on to Paint Bank and then back through Covington. Travel up 220 north, pause and enjoy Falling Springs Falls as you return to Bath County, where if you continue on 220, you’ll pass The Omni Homestead Resort and Spa and the charming village of Hot Springs, followed by the historic Jefferson Pools in nearby Warm Springs as you return to your lodging destination or the restaurant of your choice for dinner. Take 39 East making a slight right turn onto 39 at Goshen, follow 39 through the Goshen Pass one of the most breathtaking stretches of this beautiful scenic byway. You will end the byway at the Lexington Horse Center. Turn right onto Lee Highway and follow the signs to the historic district where you can then visit historic Lexington, home of the Virginia Military Institute, Washington and Lee, the Stonewall Jackson Museum and historic downtown. (Return via 39, or Interstate 64 to Goshen and then onto 39, or Interstate 64 to 220). Take 39 West, you can travel the western portion of 39. 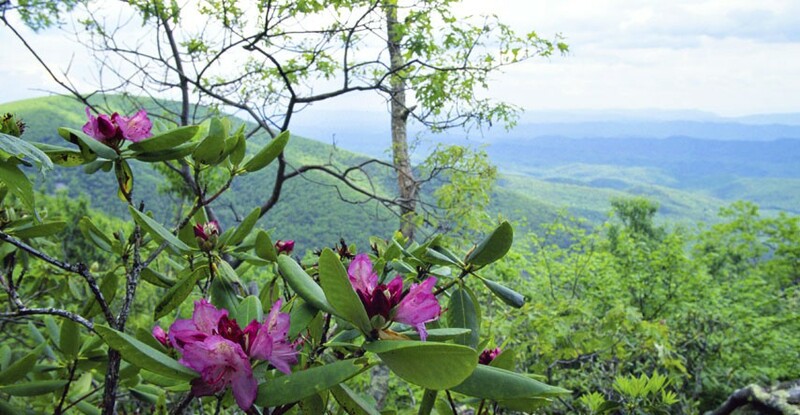 This lovely drive takes you through Greenbrier, Nicholas and Pocahontas Counties. You can stop in a number of quaint towns and villages along the way. The entire drive (without a stop) will take you approximately 2 ½ hours one way. The venerable Humpback Bridge lays claim to being the oldest of Virginia’s remaining covered bridges. Located in Alleghany County, just west of Covington, it was built in 1857. It was part of the James River and Kanawha Turnpike and succeeds three other bridges at the site. It stretches over Dunlap Creek, a tributary of the Jackson River that joins the Cowpasture River near Iron Gate to form the James River. The first structure was built in the 1820s and was washed away by a flood on May 12, 1837. The second fell victim to the flood of July 13, 1842. The third, as the annual report of the turnpike company put it, “gave way” in 1856. The 100-foot-long, single-span structure is four feet higher at its center than it is at either end, thus the name, “Humpback”. Traffic across the bridge ceased in 1929 when it was replaced with a “modern” steel truss bridge. It stood derelict (and was even used by a nearby farmer to store hay) until 1954. That year, thanks to the fund-raising efforts of the Business and Professional Women’s Club of Covington and the Covington Chamber of Commerce, it was restored and preserved as part of Alleghany County’s history. Take 220 South. Stop and Enjoy Falling Spring on your right and then continue on 220 South until you reach Covington. Turn Right on West Riverside. (You will see WestRock on your right). Turn Right on Midland Valley Trail. Follow Midland Valley Trail until you reach the Humpback Bridge (on your left). There is a more rural scenic drive taking Jackson River Turnpike. There are many twists and turns. 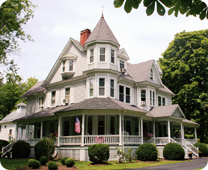 Ask your innkeeper to walk you through the directions if you are feeling adventurous. Tucked away in the hills of the Greenbrier Valley, this picture-perfect main street offers the finest in southern hospitality, unique shopping and town festivals all in a historic setting. Discover a surprising selection of art galleries, award-winning restaurants, sidewalk cafes, antique shops and trendy clothing boutiques. Stay the night at one of our quaint bed and breakfasts or legendary historic inns and see for yourself why Lewisburg has been named one of a dozen distinctive destinations by the National Trust for Historic Preservation, recognized as a Top Southern Mountain Town in America and most recently, voted America’s Coolest Small Town by Frommer’s Budget Travel Magazine. You can also visit the historic Greenbrier Hotel in White Sulphur Springs. Just follow the road signs on your way to Lewisburg. Nestled in the mountains of West Virginia, Cass Scenic Railroad Sate Park offers excursions that transport you back in time to relive an era when steam-driven locomotives were an essential part of everyday life. Trips to Cass are filled with rich histories of the past, unparalleled views of a vast wilderness area, and close-up encounters with the sights and sounds of original steam-driven locomotives. The town of Cass remains relatively unchanged. The restored company houses now rented as vacation cottages add to the charm and atmosphere of the town. From the company store and museum to the train depot, you’ll find an abundance of things to do prior to your departure on the historic Cass Railroad. The Mountain State Railroad & Logging Historical Association has recreated a logging camp of the 1940’s at Whittaker Station that shows both the living quarters and the equipment used by the loggers. 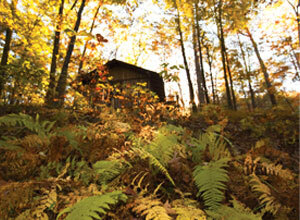 The centerpiece of Camp One is a Lidgerwood tower skidder, one of only two examples left in the world. These huge railcar-mounted machines carried logs out of the woods on aerial cables for distances up to 3000 feet. Take 39 West. 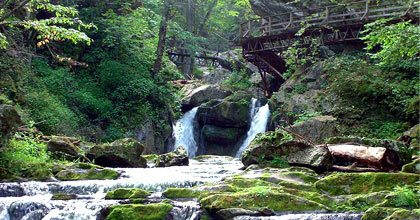 You will head into West Virginia on this beautiful scenic byway. Just before reaching downtown Marlinton you will be directed to turn right heading towards CASS. The road to Cass is well marked. Follow the road signs to the general store and railroad yards. The National Radio Astronomy Observatory Green Bank is located in Pocahontas County West Virginia on Route 92/28 about 25 miles north of Marlinton. Take 39 West. Take 92/28. Follow the road signs. Open year round. Tour fees: Adults, $6; Seniors, $5; Children 7-12, $3.50; Children 6 and under, free. Pocahontas County residents receive a $1 discount.